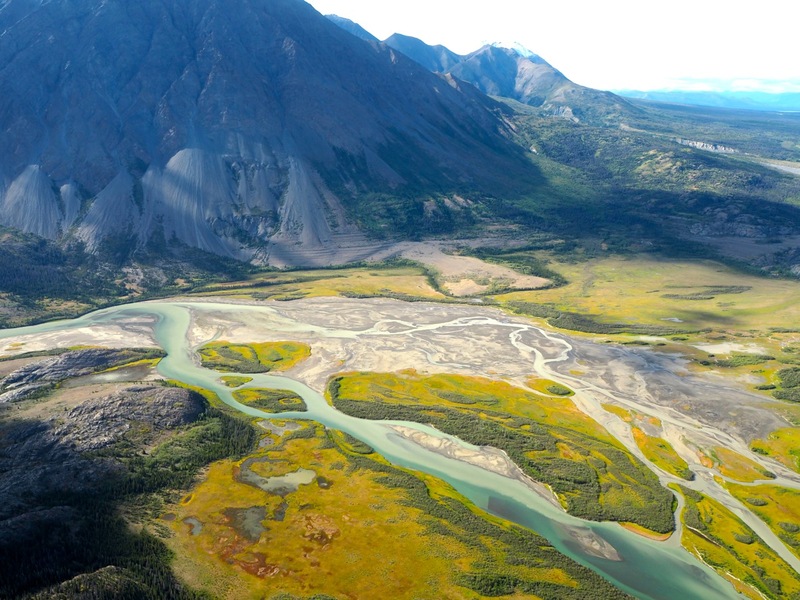 A visit to Kluane National Park is special for many reasons, but arguably the best way to experience it is to hitch a ride on a glacier flight over the park, as mountains and glaciers dominate the expansive National Park in the Yukon region, in the Northwest of Canada (to visit: fly into Whitehorse and drive to Haine’s Junction). Water activities on the lake (and by ‘the’ lake, I mean any lake), are near enough to an institution in Canada. Summers are typically spent out on the lake with family or friends, kicking back, and taking in the scenery around you. Banff National Park is probably the most beautiful of all the National Parks in Canada – with crystal blue waters, an expansive mountain range, and the most picture-perfect landscape you ever did see! Whilst visiting Banff, be sure to make your way over to Calgary and if you can, time your visit to include attending the famous Calgary Stampede, an annual rodeo show held every July in Calgary, Alberta. If you have an appreciation for the performing arts, you will have heard of the highly renowned Cirque du Soleil – the world’s most famous and successful circus. The shows are all created in Montreal where the Cirque troop is based, before heading off to tour the world. If you’re in town when a show is in local previews, you’ll be one of the first to see a new Cirque show! Over in the Northwest of Canada is one of the most authentic regions with friendly locals and glorious landscapes – “The Yukon”, or simply Yukon, if you prefer. Typically visitors fly into Whitehorse and rent a car or motorhome to tour the region – here are some highlights from my trip. Niagra falls is one of the world’s most famous waterfalls, lying on the border between Ontario (Canada) and New York (USA). It looks pretty spectacular, and given that 30 million visitors head to the falls every year, I’m sure it must be quite the site! I once asked a Canadian what other sports are popular in Canada other than Ice Hockey. The answer: practically none. If you time your visit during ice hockey season, be sure to check out the game + crowd atmosphere at either a local, regional, or national match! One thing I didn’t get the chance to view during my time in the Yukon was the highly popularised Northern Lights. The best part? They’re not going anywhere anytime soon! The worst part? The lights were out twice during my visit, I just didn’t know until it was too late the next day! Be sure to check online that evening for a “Northern Lights prediction” – they’re usually pretty accurate. Located in the east Maritime provinces, Nova Scotia is argued to be one of the most beautiful parts of Canada to visit, as outlined to me by a number of locals during my trip. For now, it remains on the bucket list! “What should I eat in Canada?” was a question I posed to my followers on Instagram. I can’t tell you how many people were quick to tell me I MUST try poutine whilst here! 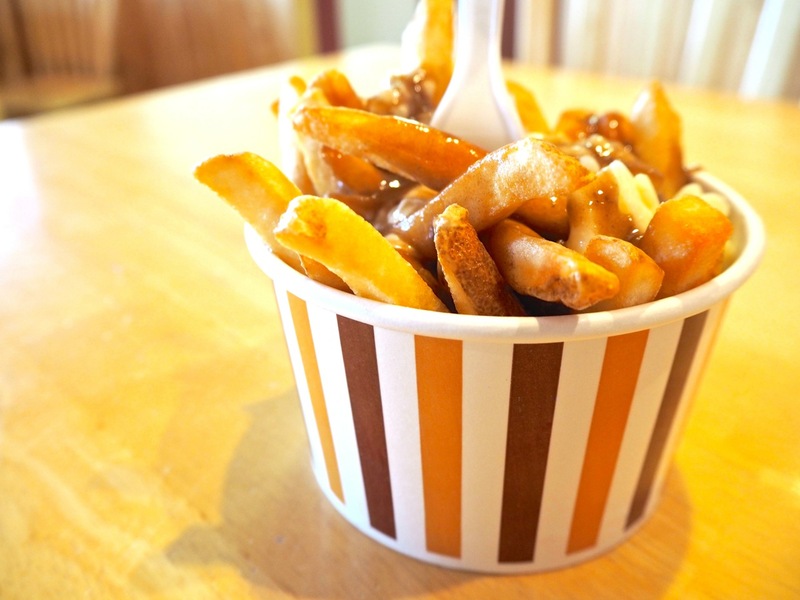 Poutine is essentially fat chips (french fries) with gravy and cheese curds on top – yummyyyyy! For the authentic poutine, try it in Quebec, where it was born! Seriously. There is nothing more I wanted to see in Canada than a bear (I can sense the Canadians out there shaking their heads in query and concern)…. But really, who wouldn’t want to see one! Perhaps the best way, I should imagine, would be to see one from a car… but to be honest, I’d take (almost) any opportunity to see one! Fingers crossed for next time. Yup, bagels are a thing here in Canada, too! Apparently the best bagel is to be found in Montreal, but I’m uncertain how wrong you can go with a bagel? While I didn’t get to hit the slopes this time, I’m hoping my next trip to Canada will be in a winter wonderland! The Canadian Rockies are home to many ski resorts, so you can rest assured you’ll be spoiled for choice! Show me an iceberg. Any iceberg. ALL OF THE ICEBERGS! While I did get to fly over icebergs on my flight in Kluane National Park, I’m still yet to see one up close (in the world – ever), so it remains on the list! Canadians are probably the easiest people in the world to befriend. They’re open to conversation and very friendly without being loud and obnoxious (quite the contrary). They also say “Sorry” for everything, even when it is not their fault in any interpretation of the scenario whatsoever. Who couldn’t befriend someone like that!? Can you believe it, I didn’t get a chance to eat at Tim Horton’s on my first time in Canada! According to every Canadian I encountered, TH’s is a must. It’s also a great (and reliable) cheap eats that is to be found on almost every corner or highway. Whilst in Canada for my first visit, I was lucky enough to visit Kluane National Park, Tombestone National Park, and Hautes-Gorges-de-la-Rivière-Malbaie. While 3 is a pretty good first run, I’d love to see them all! Or at the very least, I’d love to add Jasper National Park and Banff National Park to my list of Canadian conquests. Because….also wow. Seriously, check it out. There is sooooooooo much room for activities in Canada, and many of them are lake activities! Whilst in Canada, be sure to say yes to any and all opportunities to have fun on a lake. That could include kayaking, canoeing, boating, fishing, stand up paddle boarding, and much more. Aka: Prince Edward Island in Canada’s East. And yes, it’s just like the book! Taking a break from all the outdoors activities here and offering an indoor extravaganza, lets not forget about the West Edmonton Mall, located in Edmonton, Alberta. Not only is this the largest shopping mall in North America, it is also the 10th largest in the whole world. Yikes! While I drove most of my trip in Canada, I have heard from numerous sources that the cross-country railways are another fantastic way to see the country and all of its’ diversity. This is a great option for those who don’t drive or those who don’t want the responsibility of driving on the (other side of the) road! What is more Canadian than camping in the woods? Well, most things on this list… but seriously, be sure to pitch a tent for a cheaper alternative to hotels! According to the Canadians I met on my travels throughout the country, there are more Aussies in Whistler than Canadians! There’s no denying that it is a favourite among young Aussies working overseas, so it would be a great place to visit if you’re looking to work whilst in Canada (as Australians are inherently very friendly)! Canada Goose – the famous coats that are warm enough for the Arctic Circle. For my next Canadian adventure, I’m determined to head North in the winter time! Thus, this will be a (something I really just want) necessity. If there could be just one National Park in Canada that is on my “must see ASAP” list, it would be Jasper National Park. The amount of times I’ve seen an Instagrammer snap a perfect kayak shot on the lake is too many to count. Until next time! For a little bit of France in Canada, all you have to do is head to Quebec region – filled with extremely well-preserved Francophone culture. Perhaps the most beautiful glimpse into the Canadian French history is to step inside the walls of the Notre-Dame Cathedral in Montreal – a must for anyone visiting the city! Well, almost. I finally saw a moose on my second last day in Canada… but was driving and didn’t have my camera at the ready, hence no photo. Does it still count? Of course it does! I just don’t have the photographic evidence. 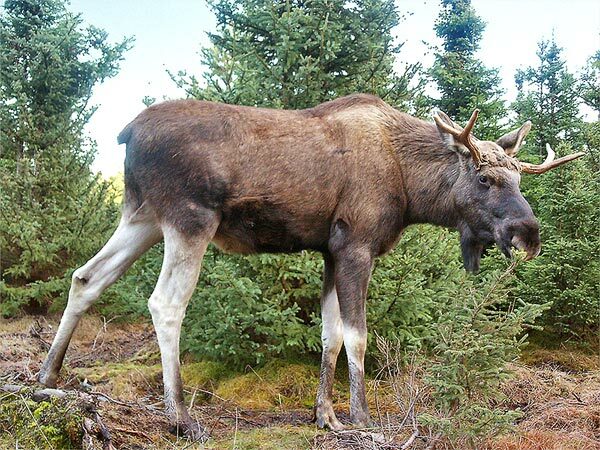 As such, I’ve taken the great pleasure of tracking down a Wikicommons image of what a moose looks like (incase, y’know, you didn’t already know). While the USA might have six flags theme parks galore (which are supposed to be really, really good! ), Canada’s premier theme park is known simply as “Wonderland”. How could one not be curious!? The park is located in Vaughan, Ontario. Whilst I was in Quebec I stayed at a couple of great mid-range hotels, however the city is renowned for being home to “the world’s most photographed hotel”, the Chateau Frontenac (a Fairmont Hotel). Here’s to sweet dreams in a chateau! Canada is the birthplace of maple syrup and where the sugary treat is made and then exported to the world. But what you’ll soon realise when you visit Canada for the first time is that Canadians really love their maple syrup…. on everything! Whilst in Canada I had maple syrup in my smoothies, on my French toast, on crepes, in candy form, maple syrup drinks…. and oh so much more! Luckily I have a sweet tooth! In Australia we have the popular “Adelaide Fringe Festival”, but according to all the Vancouverites I met, the Vancouver Fringe is where its at! Thus I’ll be sure to schedule my next visit to Canada during “The Fringe” as it is affectionately known to locals. Whilst in The Yukon region, I was fortunate enough to have the time to venture toward the border to Alaska and visit Dawson City, the former capital of the Yukon and the historic gold rush town. If you do venture Northwest, be sure to stop into Dawson City as it has a fabulously preserved town centre that literally feels as if you have stepped back in time. 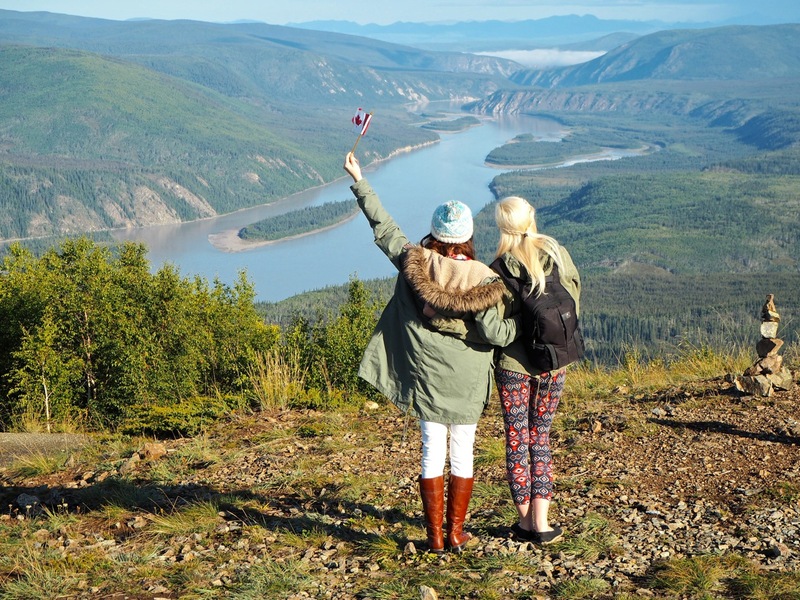 Also whilst in the area (The Yukon), be sure to catch a ferry across the river from Dawson City, to the start of the Top of the World Highway. This stunning drive (that goes through to Alaska) will have you feeling just that; on top of the world. These are the islands of the Haida people, located in the archipelago in British Columbia. If you’re visiting the west coast and looking for something unique, this is totally well worth your while. While I’ve only ever cruised once in my lifetime (an experience which is guaranteed to result in weight gain — buffets are a dangerous thing), I can’t say I would pass up the opportunity to cruise through the maritimes on Canada’s east coast!!!! If you find yourself in Canada in the summer time, one of the most popular activities is to go killer whale watching off the coast. While I didn’t get the chance to do so this time (and have never seen a whale in my life), it is certainly on my bucket list! 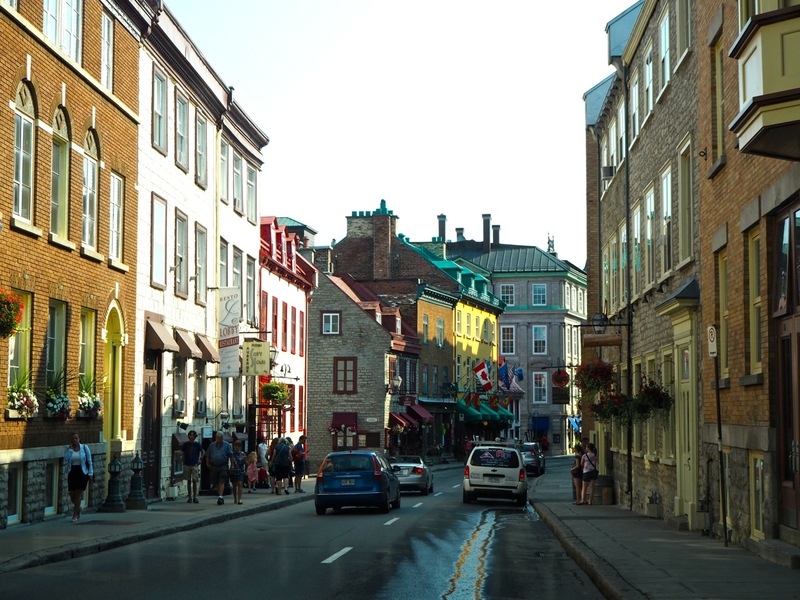 One of the most memorable days I had on my first visit to Canada was a free day to explore the city Of Quebec – home to the historic French history, architecture, food, and of-course French speaking locals. The city is so well preserved that you feel as if you have been transported to France itself! So there’s seeing an iceberg up close, then there’s the chance to visit Newfoundland and actually watch icebergs float right by on the shore…. can’t. even. deal. Having seen those crazy storm-chasing films, I can’t say this wouldn’t make me nervous, but it would certainly be a once in a lifetime opportunity! On the list. If you wanted to walk the entire trail, you’d be walking for years. But the Trans Canada Trail is so scenic and popular that many people hike parts of the trail each year. So far I haven’t stepped foot on it, so I’ll add it to the list! I had a couple of chances to try a nanaimo bar (think caramel slice for an Australian equivalent – different flavours but same premise), however each time they were offered to me I was either full or had just eaten a sweet treat. So….. ’til next time! Probably at the top of my Canada bucket list is to rent an RV (motorhome) and drive to all of the places mentioned on this list. 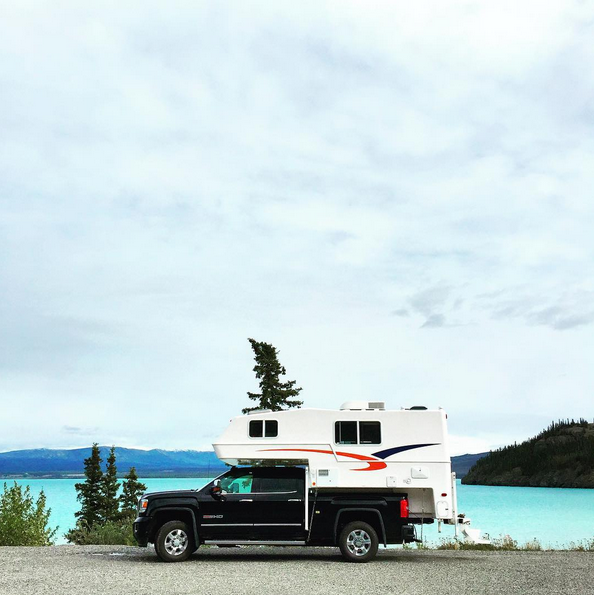 I don’t know why exactly I’m so obssessed with the idea – perhaps because it’s such a Canadian thing to do – or perhaps because I want to live out my dreams of being a full time gypsy in my trailer. Who knows. Who cares! 47. Over to you! What’s on your CANADA bucket list!? Go dinosaur excavating in Alberta! I recently added Canada to my bucket list after talking to some weird Canadians who were trying to persuade me that there’s nothing to see in their country. So I started to do research to persuade them in the opposite, lol. Funny how come people don’t realize that their motherland is a gorgeous place! Unforgettable Emotions with This Post , Thanks !!! Great list Brooke (coming from a fellow Canadian)! However, I would argue that the Calgary Stampede and Canada Goose Jackets partake in animal cruelty. I would look into that before making such choices. I love that you put together a list for Canada (my home! ), but you missed Toronto in your list! This is the biggest city in the country, and we have must check-off items such as going up the CN Tower (formerly the tallest free standing structure in the world until Burj Khalifa was built), TIFF (Toronto International Film Fest), CNE (Canadian National Exhibition), just to name a few! Glad to hear you enjoyed your first visit to Canada! Come back soon! This is a really great list! But, I must say, it would take a very long trip to see all of this! I’m from Canada, and I’m actually just returning home from a road trip from Ontario to British Columbia. It took two weeks, and that was mostly driving. So if you want to see all of these sites, it’s going to take a very long time! Canada is a huge country, and I only saw half of it really, in a two week time span. Keep that in mind if you visit again! Also, Steveston, BC is a good place to visit. It’s the filming location for Once Upon a Time. In the Bay of Fundy (New Brunswick) we have the highest tides in the world, which makes super cool caves & land formations! Definitely a must see!! There’s so many destinations in Canada it would be impossible to mention them all in one post! After you do Vancouver and the Capilano suspension bridge, on your way up to Whistler, make sure you stop in Squamish. Hike or do some rock climbing on the Stawamus Chief, a massive rock face just off the highway. Alternately, take the gondola up, do a quick 1km hike and grab a beer overlooking the sound. The windsurfing and white water rafting are also world renown there. If you’re really into skiing, check out Kicking Horse in Golden BC. Give the heli skiing a shot if that’s up your alley. Also, there’s lots of wineries in the Okanagan as well as in southern Ontario. Make sure you try some ice wine, it was developed in Canada! Have a beaver tail if you get the chance. It’s a deep fried pastry that you can add an assortment of toppings to. Rideau Canal in Ottawa freezes over and you can skate on it during the winter. Maybe have the beaver tail while skating there? The winter carnival in Quebec would be worth hitting as well. So many potential places for you to see. We look forward to having you visit again! Oh my, Canada is creeping higher and higher up my list…it’s so bloody gorgeous! I guess you’ve given me more reason to see Canada! This post is really fun and inspires adventure, thank you for sharing! I can’t believe you saw a moose too! Yay! As a Canadian and a Vancouverite, it’s so nice to see a travel list for this beautiful county. If you want to see a glacier and kill two birds by visiting Jasper/Banff area, check out the glacier between the two towns! You can walk right up to the edge of it, and with a guide (with a guide only, not safe otherwise), actually walk across! Also, canoeing on Lake Louise in Banff is a must-do. The canoes are rented by the Fairmont, so they’re outrageously priced, but it was well worth it to get away from the crowd on the beach and out onto the turquoise water. Hmmm… what to add?! There’s so much! I’ve lived in Canada all my life and I haven’t even come close to seeing everything I want to in this country. Every time I cross something off my own Canadian bucket list, I discover 10 more things I want to add. Any National park is lovely. In Manitoba we have Riding Mountain National Park (Clear Lake) Elk and Bear a plenty. You also didn’t mention Long Beach/Tofino area on Vancouver Island. So beautiful! We love our country…glad you enjoyed it and want to come back! Great post! So glad you enjoyed our fantastic country!! Next time you’re around Alberta, let me know – I’d be happy to show you around the city and into Jasper National Park 🙂 Oh, and you should definitely add a drink to your list – a good old spicy caesar! What a fun list! My best friend and I are planning to rent an RV and drive through Canada in search of the northern lights as soon as we graduate from college. I will definitely be keeping this bucket list in mind when we go. Interesting list, albeit somewhat cliché, Brooke. From a Canadian’s perspective, it is difficult to truly experience the ENTIRE country in just one visit. When we travelled the world in 2004, many people we met had no idea how big Canada actually is. Our followsummer personal choices are: hiking and experiences Gros Morne in Newfoundland, over night in St. John’s for food, local music and drink. La Belle Ville de Quebec. Toronto for its foodie experiences, multicultural neighbourhoods, shopping, night life, TIFF, 5 Star Hotels, did we mention the food?? North to Killarney National Park for a hike across our Canadian Shield, and overnight (Alone!) on a pristine lake. Canoe and portage in Algonquin Park. Then fly to Vancouver and enjoy Tofino, Victoria and Salt Spring Island. Or fly to Calgary and take the Rocky Mountaineer train through our Glorious Rockies to Vancouver…spectacular! #TravelWell! Towns of Picton, Bloomfield and Wellington. Home to WINE COUNTRY, Artist Trails, Farmland and Farmers Markets, SANDBANKS PROVINCIAL PARK / Sand Dunes! Oh gosh, sooo many places on this list that I cannot even check off as a Canadian. This country is just so BIG! If you are heading back for a winter adventure, I would highly recommend heading up to Churchill Manitoba, the polar capital of Canada. Did it when I was eleven and it is still one of my favourite travel memories. No need to by an expensive jacket – just book with a local tour and it’s likely they will provide you with the heavy duty winter gear you need. Out on the Hudson Bay when we were there during spring it was still -50C! Love Canada! I actually never heard much about it, but lately I’ve seen many photos of the Alberta region, and it looks like an absolute dream! However, whole Canada looks great, can’t wait to visit it myself. Great article! I love Canada – I’ve always said if I were to move countries, that would be my first choice! I love all the talk about lake ideas, its such a stunning setting! I love Canada. The markets in Ottowa are worth a visit and its such a beautiful city, we visited during the street entertainer festival. The CN Tower is a must as is a blue jays baseball game down below it. Poutine – yummmm. Cocktails floating about on the lake and Canadian canoeing across the lake watching the snapping turtles and listening to the Loons is a must. Henry’s fish bar on the lake up near Parry Sound – it’s amazing and can only be got to by boat or plane/boat. The pancake islands are beautiful and we visited a beach with my geology prof uncle where the water was full of what looked like flecks of glitter and the boys picked rocks studded with garnets off the lake bed. The speed boat ride at Niagra was our choice the first time round and it was SOOO good the 2nd time we went we opted for Maid of the Mist as we regretted not doing it the first time and a trip behind the falls was not to be missed. We managed to watch my cousin play in a practise ice hockey match despite it being summer. I’m lucky now as my other cousin has just moved to Victoria on Vancover Island so wears busy planning a trip as soon as we can. Don’t forget about Alberta, home of some of the richest dinosaur fossils in the world (yes, really!). The world class Royal Tyrrell Museum is known as *the* place to go to learn about dinosaurs and you can even go on digs with actual palenotologists. The scenery in Dinosaur Provincial Park (UNESCO World Heritage Site) is stunning as well, perfect for walks and exploring. Hahaha, oh good old Canada, you forgot to enjoy the Igloo’s we live in up here ! (just kidding obviously) haha but for real one of our best qualities is the CN tower you can’t forget about that little guy ! Cool list! But you forgot Victoria on Vancouver Island in British Columbia! Amazing little city where tea at The Fairmont Empress is a must as is exploring our little Chinatown, the oldest in Canada with it’s little alley ways and unique shops and cafes. Last summer I did a 5 month road trip across Canada, West to East. I guess on my bucketlist is to do it again, but in the reverse order and hit up all the spots I missed out on. Love it! You certainly made it all over during your trip. That would have been a ball!! I only did the Northwest side of Canada (making it to Alaska), but wow, what pretty country. Lots of bears over there. I just wrote about the trip up through Canada in the last few days and the trip was amazing! You have excellent recommendations and I’ll definitely explore those the next time I head up there. Thanks so much for sharing! AMAZING timing for this post. I leave London TOMORROW to head out on my first trip to Canada!!! So excited!!!! Canada has never really made it anywhere near my bucketlist before now. However now I am seriously considering a trip there. Banff in particularly has been calling for me! Oh and Poutine of course. You absolutely need to vist “Les Iles-de-la-Madeleine” check it out! The landscapes are gorgeous 🙂 It is a little paradise! Love these suggestions!! Banff, Calgary, Nova Scotia, Niagara Falls, and Prince Edward Island (for Anne, of course!) are all definitely on my must-see for one day! Such stunning scenery! When you come back to Canada and especially BC, make sure you come to Kelowna, BC in the Okanagan Valley where we have over 250 wineries, with world renowned wines. Our warm Okanagan Lake is one of the most beautiful in BC and there are many many wonderful cafes and restaurants to see. I love this list! I live in Michigan so not only have I visited Canada many times, but I have checked many of these things off of my list. And in all honesty, Canada and Michigan are pretty similar – plenty of canoeing, Tim Hortons, and maple syrup. I was hoping Newfoundland would make the list as that’s where I’m from – May-June is usually the best time to see icebergs. It’s funny because when I was growing up I didn’t realize how unique Newfoundland was is in that way because I just grew up seeing icebergs every spring and didn’t think much of it! And you can also go whale watching in Newfoundland – maybe even sea kayak next to one! Hi! You’ve got a great list here and I still have loads to tick off there too. I’ve just spent several weeks visiting family in Kelowna and Okanagen valley. A few off the beaten track places I’d recommend are the wineries in the Okanagen, the Kootenays (gorgeous mountain range south of Banff) and instead of the Capilano suspension bridge, go to Lynn Canyon (a few miles east of Capilano with a smaller suspension bridge but waaay less touristy, free, 30 foot pool to jump into and swim). Also Vancouver highlights: Cafe Medina for breakfast and rent a bike to cycle around Stanley Park and take in sunset from there too!